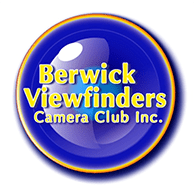 Berwick Viewfinders Camera Club Inc. Interclub Competitions - Berwick Viewfinders Camera Club Inc.
BVCC and other photographic clubs/societies hold competitions throughout the year. Details of the competitions BVCC participates in are listed in the By-Laws document. This was an excellent night. What a pleasure to host the competition and have great support from the Pakenham and Frankston Clubs, with many members attending. Mary Mullane was the judge. She last judged for us in 2008. Congratulations to Frankston on being the outright winner. What a strong club! The challenge is really out to see if either Pakenham or we can drag the trophy away from Frankston, who have been winners since the Tri Club Interclub competition started. Thanks to the Print Stewards and helpers on the night for all your work. Thanks to Pakenham and Frankston.